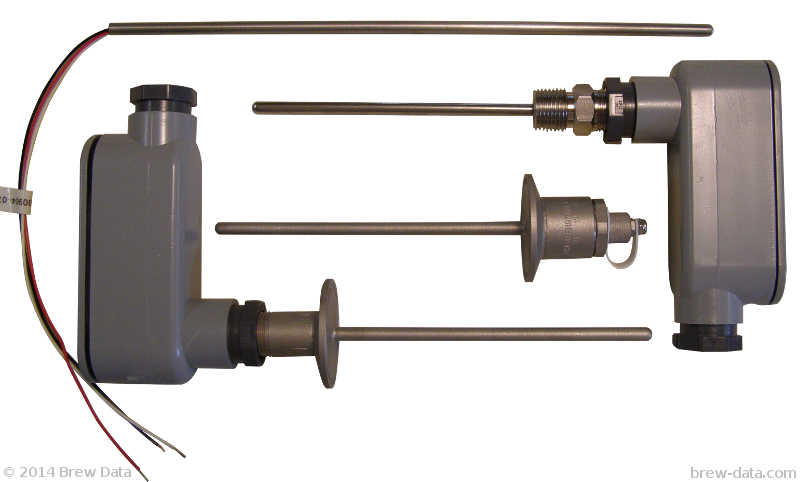 Check out the latest probe related news on the Temperature Probe News Page! Want to find a probe fast? Try our Probe Finder in the Brew Data e-commerce store. 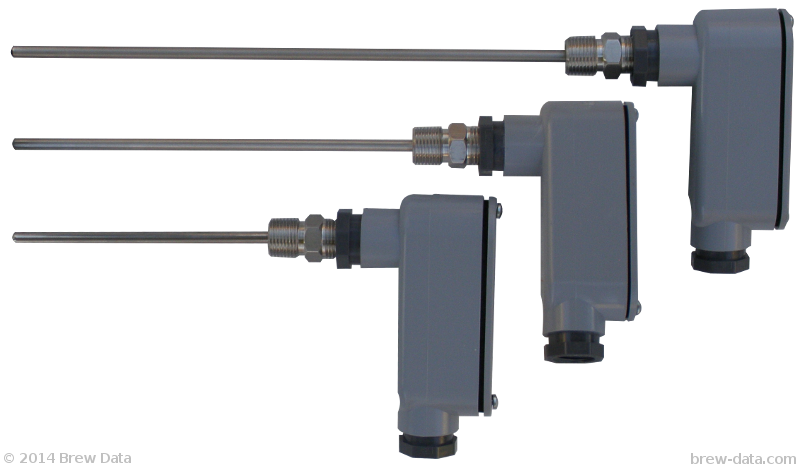 Brew Data has a full line of high quality, industrial grade, solid state temperature probes. These probes are accurate, easy to wire and install, and can be used in a wide variety of applications. They are available in a variety of styles and lengths. 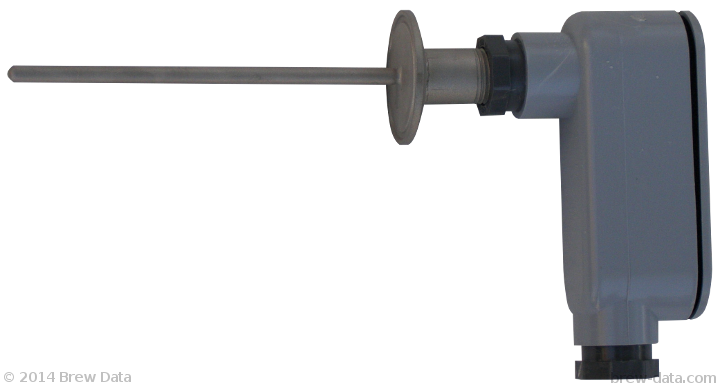 All probes use solid state temperature sensors, which gives them an advantage in accuracy and ease of use compared to other sensor types such as RTDs or thermocouples. For more information on the advantages of solid state temperature sensors, read Brew Data's white paper here! These probes are ESD protected and are compensated to drive long lines or capacitive loads. They can also measure temperatures ranging from -40C to 125C with only one positive power supply. All probes are made from 316 stainless steel and are designed to be used in industrial environments. This makes them ideal for use in breweries, food and beverage production, or any other application with sanitary or watertight requirements. The straight probe style is available in 6", 9", and 12" lengths. This probe has a spring loaded fitting to mount inside of a thermowell. It comes with a watertight PVC connection head, and is available in 6", 9", and 12" lengths. This probe comes with an 1.5” Tri-Clamp sanitary fitting and a PVC connection head. This probe also uses a Tri-Clamp sanitary fitting. When removed from service and the M12 connector is sealed by hand tightening the cap, the entire assembly becomes waterproof to IP68 standards. The sensor is then dishwasher safe and is resistant to caustic cleaners and acid sanitizers. Want to purchase a probe or need more information? Try our Probe Finder in the Brew Data e-commerce store.